In 1776, 57 brave men created the American republic by signing an historic document. Their constituents, if you will, were 3 million people in 13 colonies. The declaration signers wanted freedom from tyranny – and from the British military that wanted to arrest them for sedition and treason. Thankfully, countless men and women have fought to honor the Declaration of Independence and to protect the freedoms of Americans, including the right to bear arms. In the 21st century, the Fourth of July is a holiday of festivities and fireworks for Americans. However, too few Americans appreciate the risks of those 57 brave men – making freedom possible for all us. Personally, my freedom-loving philosophy is deep-rooted. My father’s sacrifices resulted in what would now be called post-traumatic syndrome and he became an alcoholic and passed away in 1970. 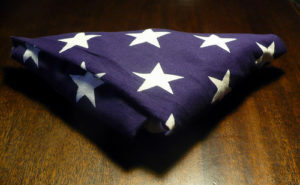 The American flag that draped his coffin is a constant reminder of his sacrifices. On such occasions, it’s worth noting the flag is folded 13 ways. My stepfather, who is 90, a great person now suffering from severe physical ailments, is a longtime Democrat and opposes capital punishment. He is a World War II veteran, a longtime gun owner, a staunch believer in the right to bear arms, and patriotic supporter of the Declaration of Independence. As a liberal, he once called then-presidential Donald Trump “a clown.” But from his wheelchair, he voted for the now-President Trump after noticing the decline in America’s culture and freedoms. Ironically, he’s not alone with his concerns. Patriotism is waning by one of the nation’s most-accurate pollsters, Rasmussen Reports. This, despite the implication of a 2017 Rasmussen headline, Most Still Link July 4 With Declaration of Independence, Americans’ patriotism continues to deteriorate. A new Rasmussen Reports national telephone and online survey finds that 56% of American Adults consider Independence Day one of the nation’s most important holidays, although that is down from a recent high of 61% a year ago. This compares unfavorably to the results of a Rasmussen survey released back in 2012. It was shocking to read that only 70 percent of Americans – who live in freedom – agreed that government gets its authority from the will of the people. Thirteen percent disagreed. Seventeen percent were undecided. Google is hugely successful and influences America’s culture. It has prompted Bing to become better and prompted Yahoo’s sale to Verizon. Every year on July 4th, Google’s doodle honors the holiday. Google’s Fourth of July 2012 doodle spelled out the words: “This Land Was Made for You and Me,” in paying tribute to the inspiring Woody Guthrie tune. Google’s spying – capturing of personal information of Internet WIFI users via its street view car. The search engine has faced heavy criticism and penalties worldwide for its so-called inadvertent massive collection of personal data. Its CEO, Larry Page, attacked Facebook’s user-data practices in an interview with Charlie Rose. But you’ll notice the petition was published on Change.org, a leftwing site which soon closed the petition drive. So, yes, it disturbs me even though I’ve never been a gun owner. With terrorism on the rise in the U.S. as we saw in Orlando and San Bernardino, soft-target attacks at public buildings or restaurants are the favorites of terrorists. It’s prompted numerous warnings and expert tips and videos to prevent and survive a terrorist attack. Google has drawn fire from Associated Press and other media firms because it publishes news headlines to their stories. This means Google is, in reality, a media company. Studies consistently show the media is biased in favor of liberals. Simply Google the key words, “liberal media bias,” and you’ll see millions of search results. If you check Google News, you’ll see the vast majority of headlines are biased in favor of leftwing opinions. So with the election of Donald Trump, it’s easy to see why Americans’ Trust in Mass Media Sinks to New Low | Gallup. Americans’ distrust of the media has sunk to the lowest level in Gallup polling history. With a dominant search market share, Google has a responsibility to practice what it preaches with honesty, objectivity and accuracy. Therefore, Google appears disingenuous and self-serving when it campaigns for freedom – meanwhile, with the perception that it slants the news and violates the rights of millions of its users. …The land of the free and home of the brave… seriously, Google? I’m just sayin’. Do We Really Honor the Declaration of Independence? 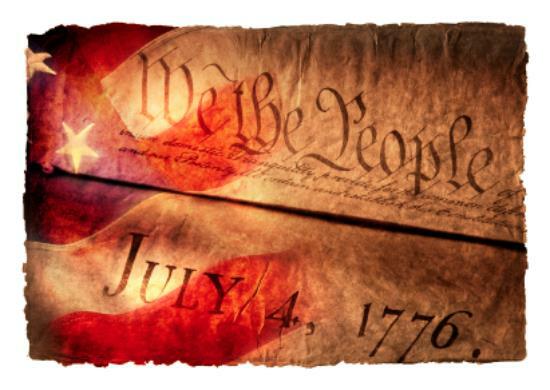 — Progressively more every year, many Americans, especially public officials, demonstrate they need to review the reasons for Independence Day and why we celebrate the fourth of July. It is, of course, a national U.S. holiday that commemorates the adoption of our unique Declaration of Independence on July 4, 1776. Thomas Jefferson was inspired to write the historic document between June 11 and 28, 1776. He eloquently stated the convictions of Americans. They weren’t new ideals expressing the desire for liberty. John Locke and others beat him to it. Are We Doing Enough to Cherish Memory of 9/11 Victims? — If we really want to cherish the memory of the 9/11 victims, we’re falling far short of the goal. Why? We’re not doing our best to prevent more victims of terrorism for two reasons.